Ramon Justino makes the case for Mary Magdalene as the author of the fourth gospel. The traditional view is that John, the son of Zebedee, is the author, though this view is held by fewer and fewer people all the time. The church father, Iraneus, is the one who first designated John, son of Zebedee, as the author. Iraneus is taken seriously on the matter because of his association with St. Polycarp, who is said to have been a "disciple of John." On the other hand, the designation of John is also based on a childhood memory of Iraneus'. Other candidates for the authorship of the fourth gospel include Lazarus, and John the presbyter. Justino's thesis is that Mary Magdalene was "the disciple whom Jesus loved." He bases this partly on texts external to the New Testament, such as the Gospel of Philip, for example: "And the companion of the [Savior is] Mary Magdalene. [But Christ loved] her more than [all] the disciples [and used to] kiss her [often] on her [mouth]." John 19 goes on to say: "he said to his mother, "Dear woman, here is your son," and to the disciple, "Here is your mother." From that time on, this disciple took her into his home." Justino argues that the gender of the beloved disciple was changed in the text because of a power struggle in the early church between the followers of Mary Magdalene and those of Peter, a contest which Peter won. One of the foremost authorities on the fourth gospel is, of course, the late Ray Brown. He argues that there was a "Johannine community," centered on the figure of the Beloved Disciple, that existed independently of the "head office" of the church, in Jerusalem, led by Peter and James. There was some tension between this community and the "head office," though they had not broken fellowship. Then, in the AD 60s-80s, tension also flared within the Johannine community resulting in a break between one faction that went "gnostic," and another faction that eventually united with the Jerusalem church, bringing with them their sacred text, the fourth gospel, which was then integrated into what would later become the canonical scriptures. It is certainly not beyond the realm of possibility to imagine a scenario whereby the Jerusalem church happily welcomes the Johannine faction, and their holy book, provided that certain editorial changes be made. 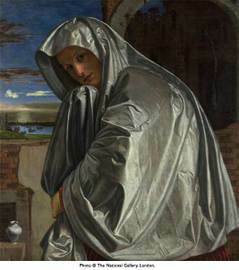 It would answer the question of why Mary Magdalene is so prominent in the cross and resurrection accounts of all four gospels, but virtually invisible otherwise. (The only other place is Luke 8 where Luke mentions Mary Magdalene "from whom seven demons had gone out," and who apparently helped provide financially for Jesus.) Justino speculates that the place of Mary Magdalene in the cross and resurrection accounts was well known among the early Christians, and she couldn't be edited out of the story without it being obvious. Want to read a book about Mary Magdalene that novelizes possible answers to the many questions there are about her? Go to marymagdalenemystory.com. I'll check it out. Thanks for your visit.